Glasgow is home to an ever-growing collection of impressive street art. There are plenty of wonderful murals like this one scattered around the city. Staying on Mitchell Street, you'll find this colossal image depicting a girl with a magnifying glass - it looks as if she's plucking people off the street! The murals are a great addition to Glasgow’s city centre, brightening up our streets and uncovering its secrets. Daleks on the Clyde! Download the City Centre Mural Trail Booklet. 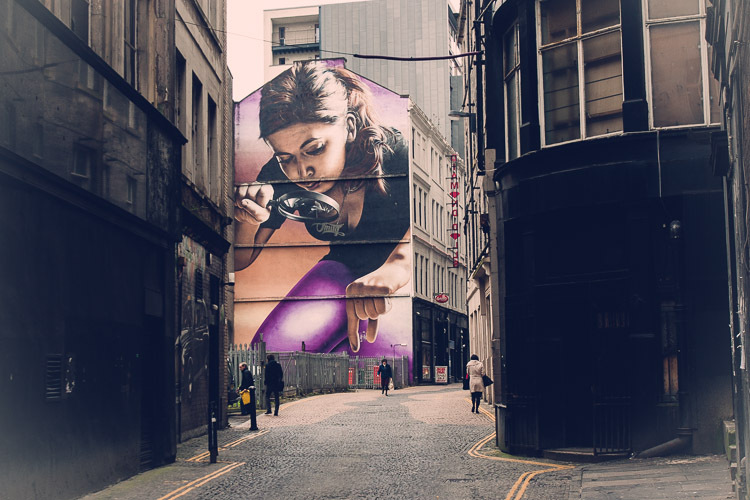 Get out and explore Glasgow’s Street Art!